Create something new out of something old with this clever idea of repurposing an old t-shirt into a awesome new cuff bracelet. 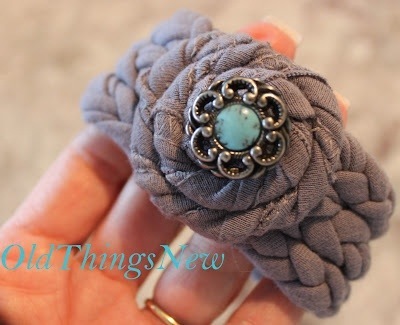 I think you could even repurpose an old pair of jeans into this bracelet, and it would be so cute! I’m a blue jean girl. This awesome tutorial can be found at “Old Things New“, along with some other awesome ideas, and tutorial like the infinity scarf. If you like! Please share!! !